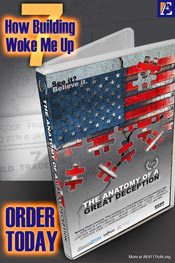 • NYC Premiere: "The Anatomy of a Great Deception"
• AE911Truth Symposium: "9/11 Awakening Goes Mainstream"
But it needs you there. Can you get to New York to help us? Check out the full NYC schedule for dates, times, times, and locations. After the film showing, we participate in a “mini-march” up to Union Square, where educating the public about the truth of 9/11 continues. At 8:00 PM, we're invited to attend the New York City premiere of the challenging play, “This is Not About 9/11,” which addresses unanswered questions about the topic that causes most New Yorkers to go silent. 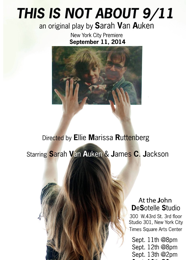 The play, which has received rave reviews, was written by 9/11 family member Sarah Van Auken, daughter of one of the four Jersey Girls (9/11 widows), who lost her father that tragic day. The day begins at 10:00 AM with more street actions at Ground Zero, where NY911Truth has been active for at least a dozen years in the face of the 9/11 myth. 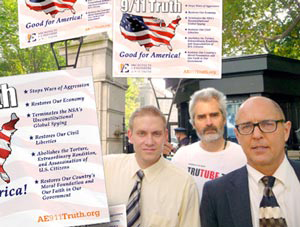 There, stacks of AE911Truth's alternative guide to the 9/11 Museum will be provided free to activists who want to pass them out on the streets. This brochure shows the WTC evidence that is not displayed in the museum. After dinner, we convene at the “9/11 Truth Café” for a meet-and-greet sponsored by Houston Free Thinkers. For the third day in a row, the objective is to get thousands of flyers into the hands of tourists; we'll meet at Ground Zero at 10:00 AM for that purpose. 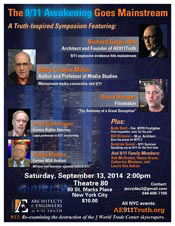 At 2:00 PM we host the main event of the three-day gathering — the three-hour, truth-telling "9/11 Awakening Goes Mainstream" symposium. AE911Truth's Richard Gage will lead off the conference with a discussion of the WTC explosive evidence and the recent media breakthrough with C-SPAN. Special guests Marc Crispin Miller and Wayne Madsen will take a hard-hitting look at media and political censorship of 9/11. Several 9/11 family members will speak — one for the first time publicly — in support of AE911Truth’s demand for a real investigation. By the time we take off for our respective homes on Sunday, we'll have been inspired by the groundswell of activists who share our passion to wake up America and we'll have been motivated by the people we met in the Big Apple who are craving the truth about 9/11. We'll be more aware than ever that we're part of a grassroots movement whose momentum is unstoppable. We hope this description whets your appetite for awakening your fellow citizens and brings you to New York City to aid us in turning the tide! 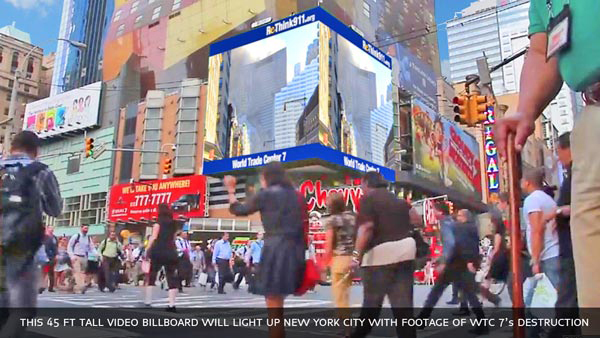 Download the NYC 9/11/14 Actions Guide. Attend all the events Thursday through Saturday!